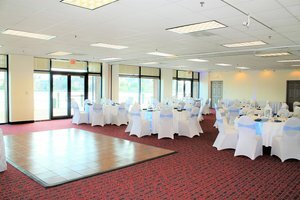 Discover our contemporary harborside wedding venue in Hampton, VA. Whether you’re planning a grand celebration or an intimate ceremony, our waterfront ballrooms are the perfect backdrop for your special day. 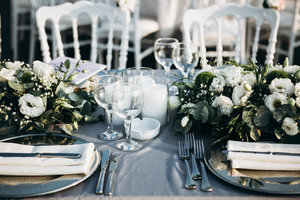 Complete with on-site catering and a dedicated events team to assist you every step of the way, it’s easy to enjoy the wedding planning process at Hampton Marina Hotel. 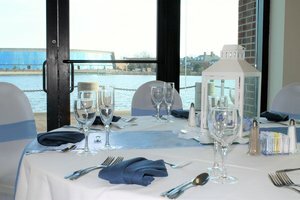 Reserve our wedding venue in Hampton today by filling out our Venue Inquiry Form. Select the space to accommodate all of your guests, from our Grand Ballroom to our Dockside Ballroom, to the private Chesapeake Room. 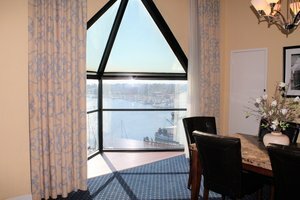 Your wedding weekend begins at the Hampton Marina Hotel. Your guests will love our modern rooms with waterfront views and you’ll love getting ready in one of our luxurious suites. Our full-service hotel has on-site eateries, Regatta Grille and Latitude 37, in addition to a 24-hour fitness center, seasonal outdoor pool, and complimentary Wi-Fi. Stroll along the marina to watch arriving boats and walk into town for an evening meal. 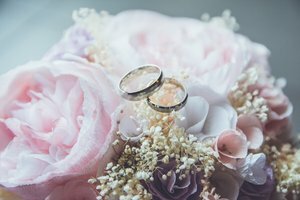 Book our elegant waterfront wedding venue in Hampton, Virginia today to finalize your wedding date!